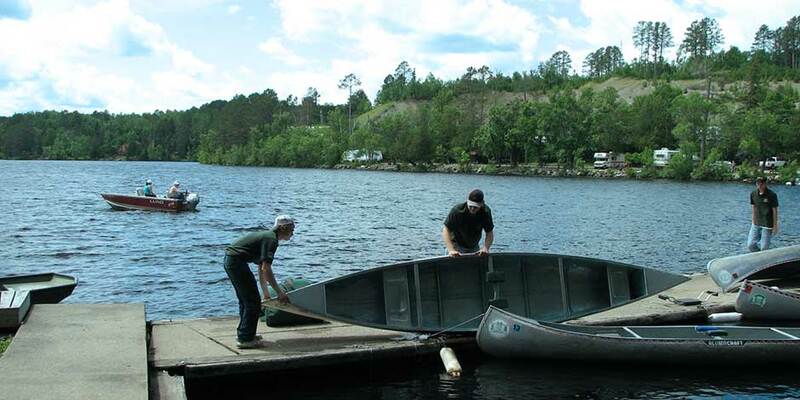 When we say our complete youth group canoe trip packages include everything, we mean just that! Our parties are not required to show-up with their own sleeping bags and pads, they’re included! Afraid a party member will arrive without his knife, fork, and spoon? No problem; they’ve already been packed by our staff before you arrived! And the same goes for cups, bowls, plates, and soap … all of which may show up on the what-to-bring lists of some outfitters and the national Scout base. Plastic ground cloth to keep ground dampness away from sleeping bags? Of course they’re in there! Don’t want to pay extra for a gas stove (which is required in some sections of the Boundary Waters)? “Turned off” by a surprise charge for fuel that you assumed would be included with the stove? Relax – you’re working with North Country – they’re both included! 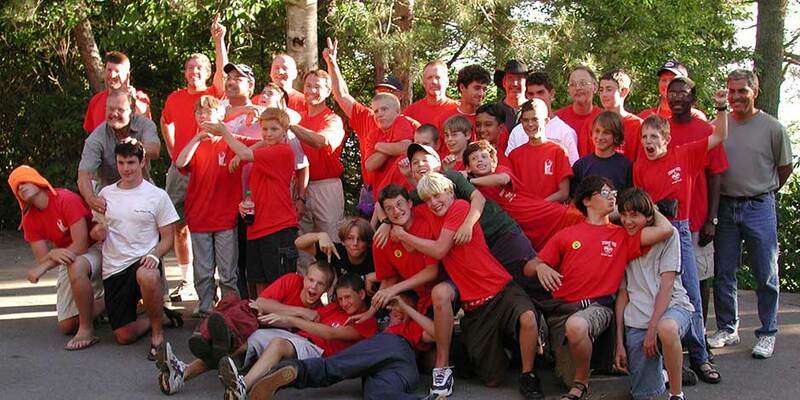 We start with detailed individual youth group canoe trip planning and routing upon your arrival here at our base. Then we will review your gear and food lists with you as we have pre-packed for your party. This review is done For those units spending the night before their trip with us in our bunk rooms, we will have a pre-trip continental breakfast the following morning. We’re here to help … not hassle. A large selection of menu items. We feature BACKPACKER’S PANTRY, CACHE LAKE, MOUNTAIN HOUSE, and NATURAL HIGH freeze dried foods. Next, we make many additions to provide quality trail tested meals. On the 1st night out on the canoe trails, we even include ½ pound USDA inspected Certified Angus Beef ™ steaks or two 1/4 pound Black Angus burgers, with fresh hash brown potatoes. Condiments & cleaning items round out a great food pack! Ultra-light WE-NO-NAH Royalex canoes: the 17-foot 2-person model weighs in at only 56 pounds … the top choice for the first timer: lightweight, quiet for fishing, ans stable. (These aren’t the 85 pound aluminum scout camp version). We then add STEARNS jacket-style (not “horse collar”) life vests for all participants. Rounding out the watercraft, we add ultra-light aluminum shaft / cycolac blade paddles. SLUMBERJACK sleeping bags with DuPont’s Hollofil II fiber. Caprolan ripstop nylon is used for both the cover and the lining. The fill construction utilizes an offset, double layer method which produces maximum loft at a minimum of weight. These lightly nylon tapered bags are warm to 30 degrees. For our customers who are over 6′ or of a stocky build, we have extra-long rectangular bags … just let us know when reserving! THERM-A-REST air/foam sleeping pads for adult leaders, closed cell foam pads for the boys. MIRRO ultra-lightweight cook kits, complete kitchen utensils, cleaning supplies, along with rope to hang each of your food packs at night. Personal eating supplies such as knife/fork/spoon, plates, and cups are included. COLEMAN “Sportster” 1-burner stove. This white gas liquid fuel stove provides clean heat regardless of the weather or possible fire-ban situations and is included as a back-up to your normal cooking fire. Even fuel is included at no additional charge! Nylon rain fly for dry dining on a rainy evening. EUREKA’s new version TIMBERLINE “SQ” DELUXE OUTFITTER SERIES TENTS. We believe, however, that Eureka’s standards for comfort are not up to ours! For this reason, we never put more than 2 adults / 3 youth in a “Four-Man” tent, nor more than 3 adults / 4 youth in a “Six-Man” tent. KONDOS Custom built food and gear packs made to our demanding specifications. Protective plastic liners are supplied to keep food and supplies as well as your sleeping bags dry. Hot showers after your trip. Private automobile / van parking at our base during your trip. PLUS: Arrival night lakeside overnight bunk room accommodations. with another group’s party members. * There are many differing rules set by local BSA Councils on the use of backpacking stoves. Check with your local office on the type of stoves that may be used and who in your travel party is allowed to use them. North Country recommends that only adults fuel or operate gas stoves.